We are always looking for new members who want to make a difference in our community. 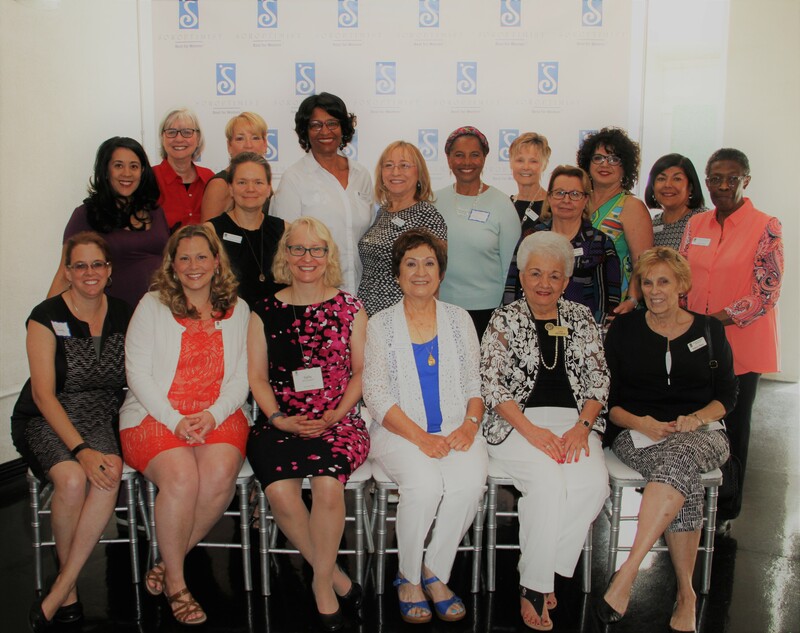 Join us at our weekly Thursday lunch meetings at Stone and Vine to learn more about Soroptimist! Meetings are held Thursdays at noon at the beautiful Stone and Vine at Alma School and Queen Creek Roads in Chandler from September through May. The first and third Thursday of the month are program meetings featuring a wide variety of topical subjects, most featuring a guest speaker. The second meeting of the month is a business meeting. Our fourth meeting each month is dedicated to planning our service and fundraising projects. Click here to see all of the Soroptimist club locations and meeting times for District 4 of the Golden West Region. $130 a quarter, which includes the cost of weekly lunches. The dues also cover registration for our regional and federation membership. For more information about membership, please send email to siofsantans@yahoo.com.